Kyle and I headed out of Shanghai for a short weekend getaway to Nanjing, about 75 minutes by fast train from Shanghai. 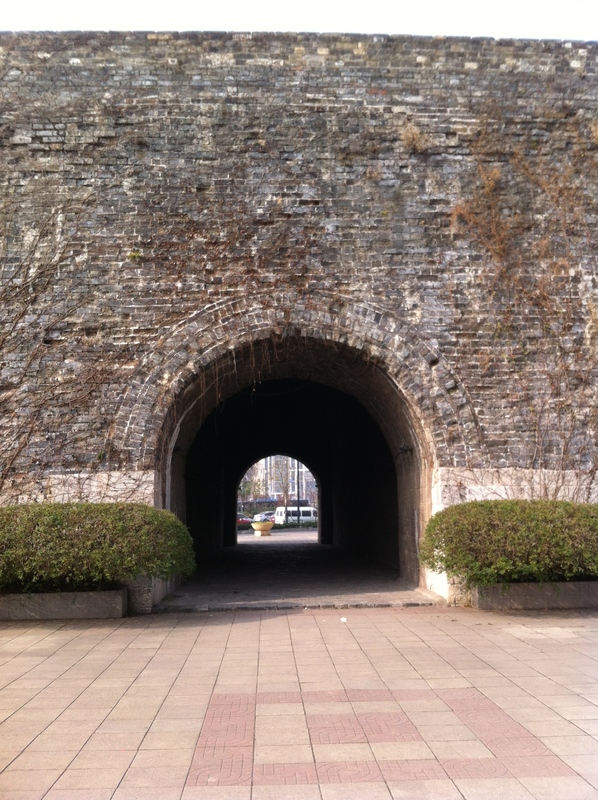 We enjoyed the hotel pool and sauna, saw the Nanjing Massacre Museum, and the Nanjing gate. It was rather relaxing but still smoggier than all get out! 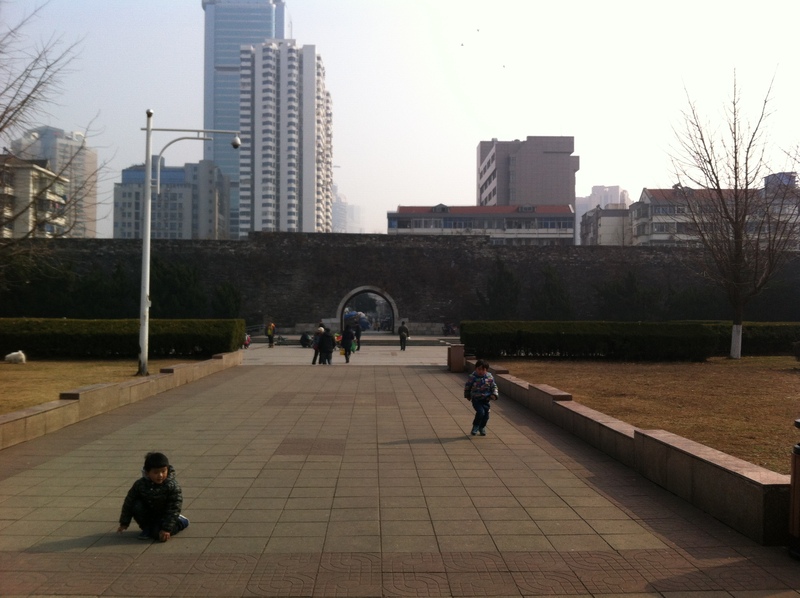 On Sunday, we went for a walk which meant that we were walking through a haze of of dirty, dirty pollution – ick! Winter is the worst in China! 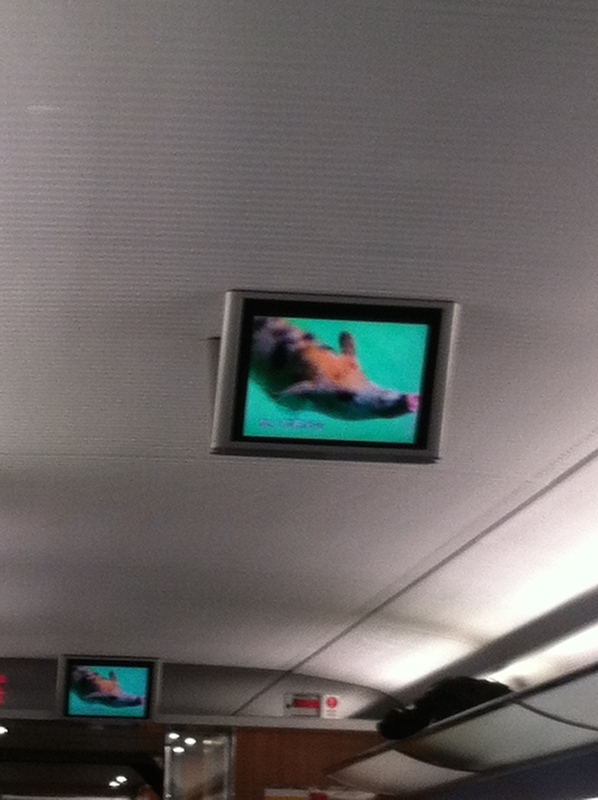 Hilarious swimming pigs on the train TV…What? 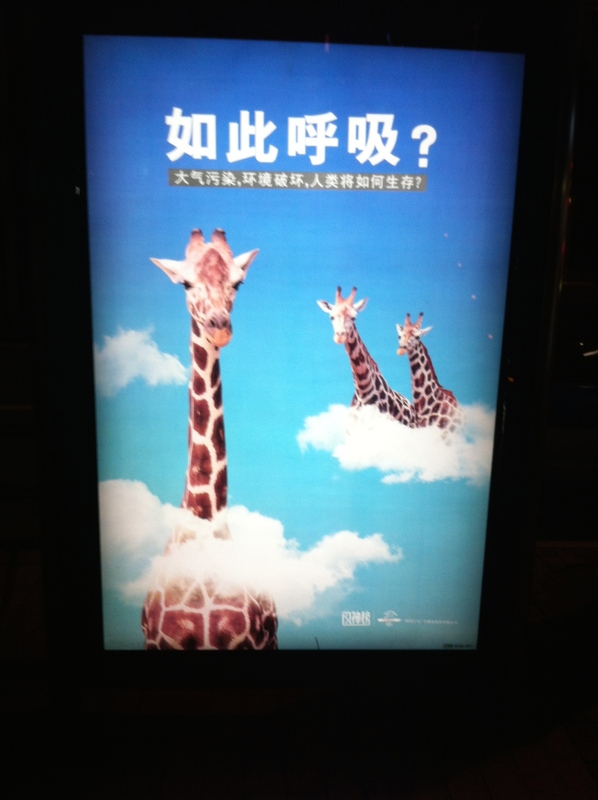 Celebrations and advertisements for “Shaun the Sheep” to celebrate the coming Chinese Year of the Sheep. 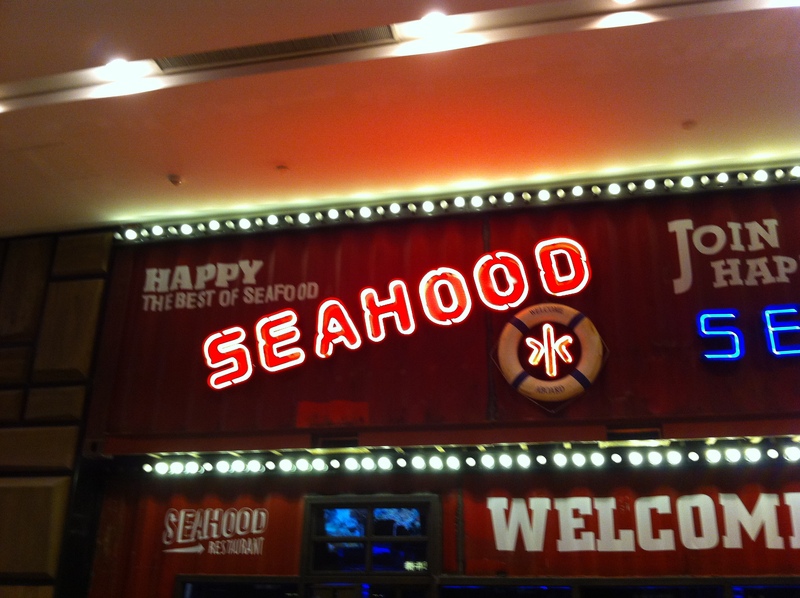 A Joe’s Crab Shack type restaurant. Maybe with a little misspelling. 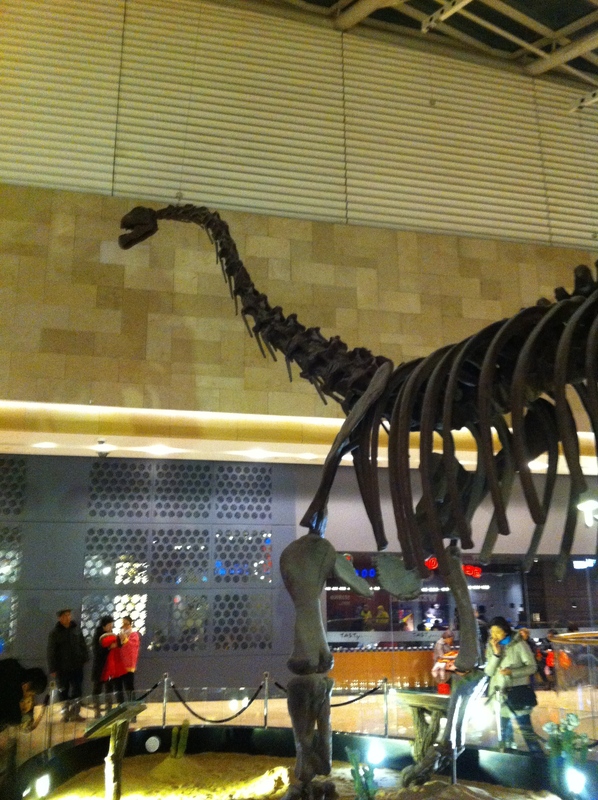 Dinosaur at the mall. 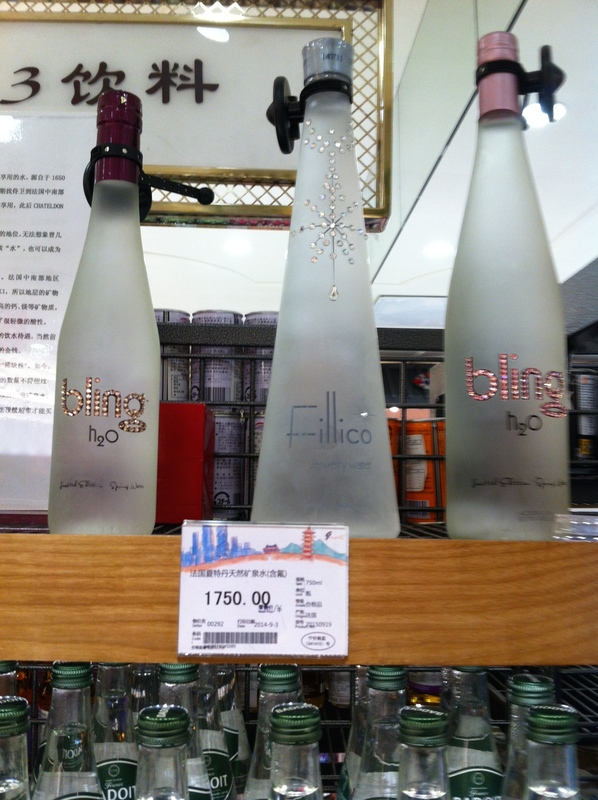 Is it real or is it fake?